Grants of up to $2,500 ($5,000 fund available in total) are available to postgraduate researchers working on issues related to rivers, flood risk management and the operational and environmental issues of catchments and river systems, depending on the merits of the project proposal and the level of competition in a given year. The research grants are aimed at supporting research that is focused on New Zealand’s rivers, catchments and management of flood risk, including cultural health, water quality, water quantity, flood management, energy generation and environment protection, as well as promoting a multi-disciplinary approach for river management, that reflects cultural and societal diversity in an integrated and holistic manner. Projects that further our knowledge of river processes, including climatic, biotic, chemical, geologic, and/or hydrologic interactions, are also encouraged. Our key objectives can be found here https://riversgroup.org.nz/about/. The fund is also intended to foster links amongst academe and partners in government, community groups and the private sector. We encourage broad sharing of project results, and thus we ask recipients to present their findings at the annual Rivers’ Group forum or submit a report for publication in the Group’s newsletter Flow.  Applicants need NOT be members of Engineering New Zealand to apply, though they are encouraged to become members of the Rivers Group. Note that the fund is not intended to cover tuition, only costs related to research. Short note of support from academic supervisor, highlighting the candidate’s qualifications for this work, and confirming that the project can be completed within the proposed timeframe. Student Conference Travel Awards 2018 will be made on a first come, first served basis. Each award consists of up to $300 (total) reimbursement for registration, transport, and/or accommodation. To claim awards, awardees will need to submit receipts for verification to the Student Work Group Lead (w.conley@massey.ac.nz) following the conference.